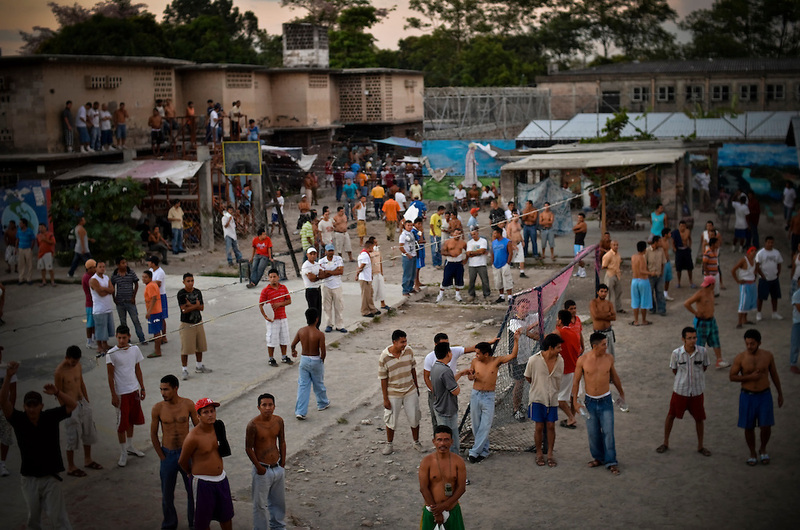 Inmates pass the afternoon in the yard of Esperanza men's prison in San Salvador, El Salvador. Esperanza is extremely overcrowded, cramming close to 40 inmates into small cells. Incarcerated men sleep in lines on the floor, in spaces underneath bunk beds, and even in bathrooms. Several inmates said their primary complaint was their lack of access to clean water.